Unity! 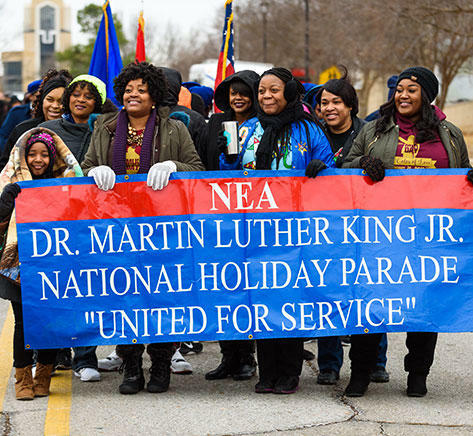 That is the national theme for this year’s festivities that celebrate the legacy of the late Dr. Martin Luther King, Junior. This year’s activities take place Sunday, January 20th at 3:30 at the Jonesboro High School Performing Arts Center. Monday’s parade is at 11 am and noon the program will be held at the Fowler Center at Arkansas State University. Telling us more is Ashley Wilson. She is the public relations and marketing manager with the Craighead County Dr. Martin Luther King Committee. Click on the Listen button for the entire interview.